The SA Social Security Agency (Sassa) drew MPs’ attention to this during a report to parliament’s portfolio committee on social development on August 15. But Sassa spokesperson Kgomoco Diseko said, "Sassa has been notified about some CPS employees misleading beneficiaries that the green Easy Pay card is actually the new Sassa card. Unsuspecting beneficiaries only find out the next month when money is deducted from their accounts without their consent." He said this might be a way for CPS to "cling" to the Sassa payment system after September 30 when its contract comes to an end. Diseko said Sassa had reported malpractices by Net1 to the Constitutional Court, which is overseeing the changes in the payment system, and to the authorities. 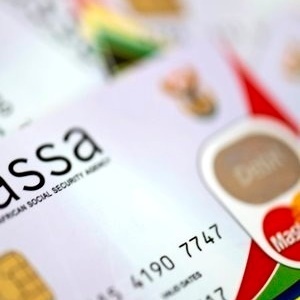 “The new gold Sassa card will bring an end to malpractices of some financial service providers. It does not allow for any deductions and it will serve as a remedy to acts of criminality by unscrupulous lenders,” he said. The Black Sash said it had also received complaints that Net1 officials had continued to operate at the site of cash paypoints which had been closed by Sassa. “They know that it is a familiar footprint for beneficiaries. They use that familiarity, or the fact that they were a Sassa service provider, or are still seen by many people as a service provider, to trick people,” said Black Sash national director Lynette Maart. However he too urged beneficiaries to swap to the new Sassa gold card as it does not allow for deductions to be effected. “The only deduction allowed is a funeral policy which must not exceed more than 10% of the grant amount,” said Hadebe. A 69-year-old pensioner from Imbali township in Pietermaritzburg told GroundUp that she had been offered an EasyPay card outside Sassa’s Vulindlela offices where she receives her pension. She said she had come to switch to a new Sassa card. “The EasyPay staff were outside the offices,” she said. She said she was confused. An EasyPay employee told GroundUp they did offer beneficiaries new cards at ATMs and shops. “During payment dates we are always there. We are visible at Spar, Jwayelani and other shops,” said the employee.